Photo: Palestinian Prime Minister Mohammad Ishtayeh walks during a swearing in of the new government in the West Bank city of Ramallah, Saturday, April 13, 2019. 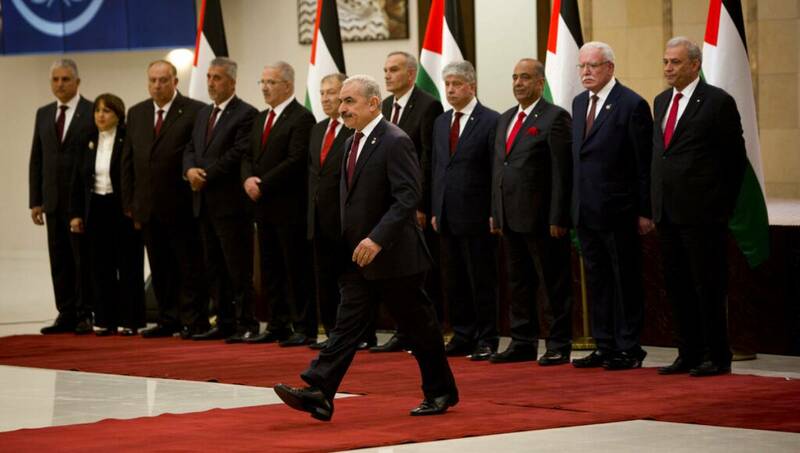 West Bank, Apr 15 : The Palestinian Authority government has been sworn in a second time in as many days after the prime minister and his Cabinet failed to recite part of the oath. Prime Minister Mohammed Ishtayeh, a veteran peace negotiator and harsh critic of Gaza’s Hamas rulers, and his 22-member cabinet returned to President Mahmoud Abbas’s office on Sunday to take the oath of office a second time. The ministers neglected to include a clause pledging faithfulness “to the people and its national heritage” during Saturday’s ceremony. Ishtayeh’s appointment by Abbas is expected to deepen the rift between the Fatah-party dominated Palestinian Authority, which governs areas of the West Bank, and Hamas, the Islamic militant group that rules the Gaza Strip. Ishtayeh’s Cabinet will convene for the first time on Monday.